I don’t know if this is normal, but there is never a point in my life where my brain is on mute. There is always a song on in the background, and during the holidays it’s either “All I Want for Christmas Is You” (which I totally nail), “Little Drummer Boy/Peace on Earth” (Bowie 4 Life), or “Happy Xmas.” But this holiday my head keeps buzzing with “Three Little Kittens, they lost their mittens…” over and over and over. I stupidly clicked on a YouTube video of it for Mr. Babes (a desperate attempt to get out of “The Wheels on the Bus” purgatory), and now the poor boy is addicted. And I really want some pie. 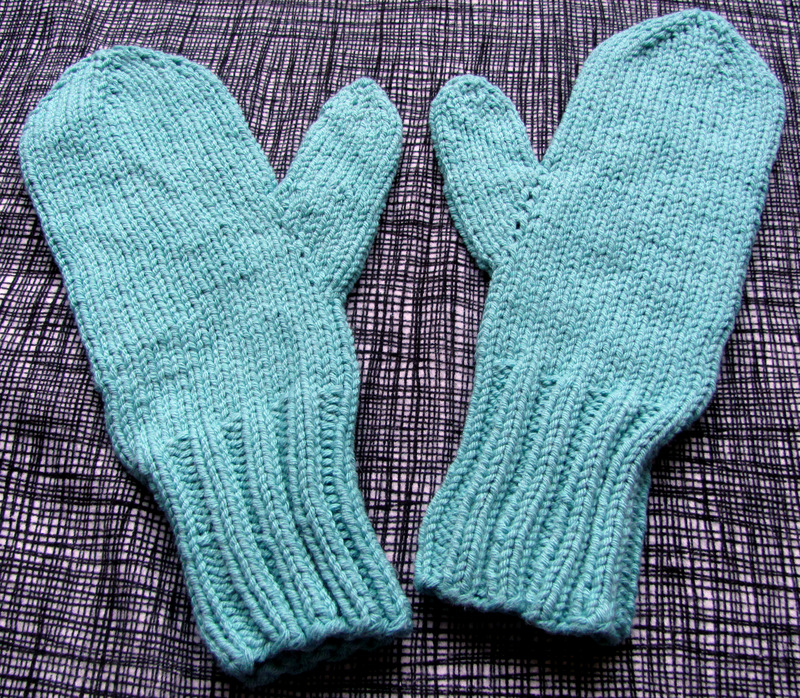 Oy, they sure were excited to wear these mittens. They totally deserve some pie. P.S. : The winner of yesterday’s giveaway is Brandy of Auntie B’s Baby Boutique! P.P.S. : I’m heading to Oklahoma this week to visit my in-laws before the holidays, so there’ll be no post Friday. I really want to go light on the packing, so I’d like to offer you a little something to keep me from schlepping the last few postcard packs across the country. 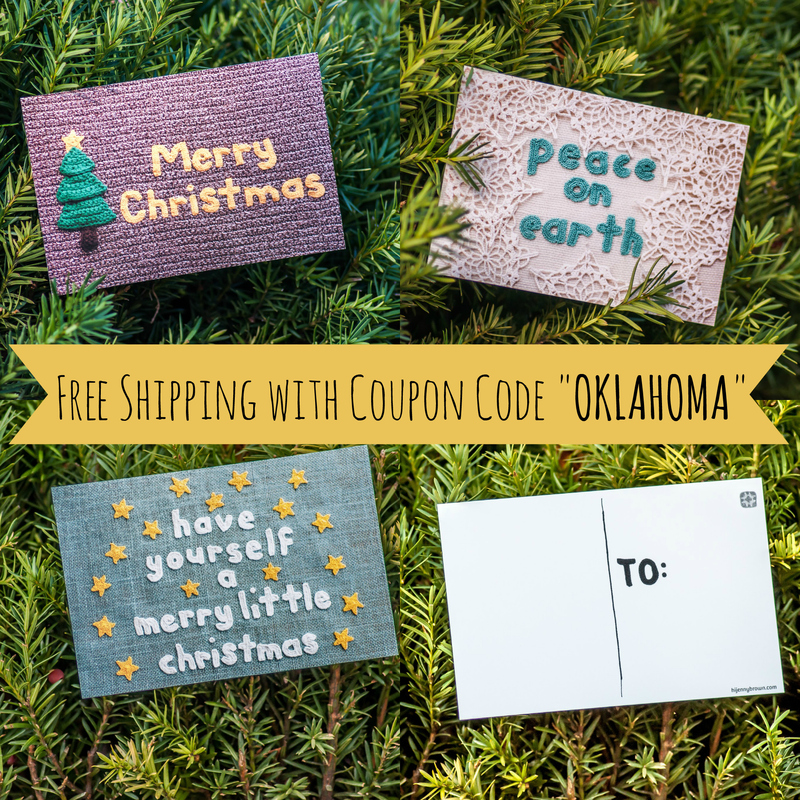 Today only – use the coupon code “OKLAHOMA” to get FREE SHIPPING on your postcard purchase. They’ll go out first thing Thursday before I jump onto that plane. Thanks in advance for helping me zip that overstuffed suitcase shut! Thank you, Jenny! We received the mittens and they are purrrrrrfect! 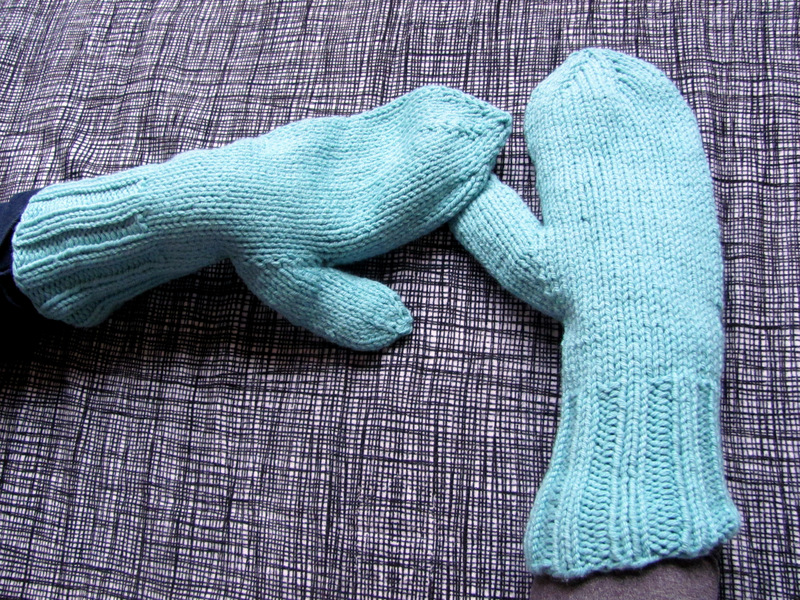 😉 Seriously, thank you so much for the beautiful donation and for sharing information about Mittens for Detroit! We love charity knitters and crocheters! Thanks, Wendy! I really enjoyed learning more about your organization through your website and wish y’all continued luck! If there’s anything else I can do to help, just let me know. You’re welcome! And don’t worry – it’s a busy time of year! Sorry, Nancy! I feel bad inflicting it on you, because I know the pain of having it there always!